Congratulations to Joy F., winner of the tour prize and to The Avid Reader and Lilac Reviews, the host winners. 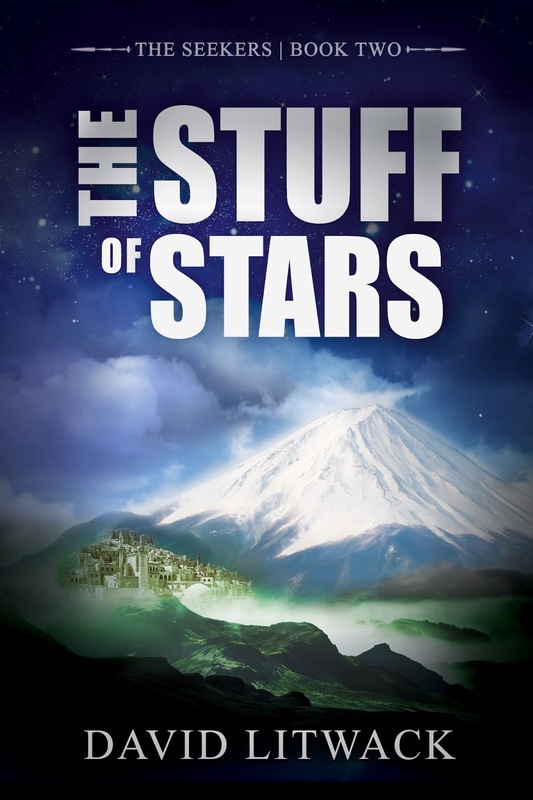 Goddess Fish Promotions is organizing a Virtual REVIEW ONLY Tour for The Stuff of Stars by David Litwack, a 240 page Science Fiction available now from Evolved Publishing. The tour will run every Monday for 4 weeks starting on October 3, and the book is available in PDF and mobi formats. This is book 2 in the trilogy. David Litwack would be happy to also make book 1, The Children of Darkness, available to reviewers. David Litwack will be awarding a $25 Amazon or Barnes and Noble GC to a randomly drawn winner via rafflecopter during the tour, and a $25 Amazon or Barnes and Noble GC to a randomly drawn host. Because this is a review tour, GFP will award a randomly drawn host a $5 Amazon GC. Book 2 of The Seekers series continues the story started in the critically-acclaimed, multiple award-winning The Children of Darkness. Against all odds, Orah and Nathaniel have found the keep and revealed the truth about the darkness, initiating what they hoped would be a new age of enlightenment. But the people were more set in their ways than anticipated, and a faction of vicars whispered in their ears, urging a return to traditional ways. Desperate to keep their movement alive, Orah and Nathaniel cross the ocean to seek the living descendants of the keepmasters’ kin. Those they find on the distant shore are both more and less advanced than expected. The seekers become caught between the two sides, and face the challenge of bringing them together to make a better world. The prize: a chance to bring home miracles and a more promising future for their people. But if they fail this time, they risk not a stoning but losing themselves in the twilight of a never-ending dream. The Reading Addict can host 10/17, pdf, please. I can host and review books 1 and 2 on Sharing Links and Wisdom on October 24.